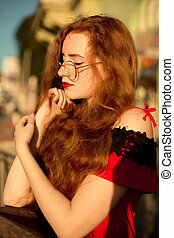 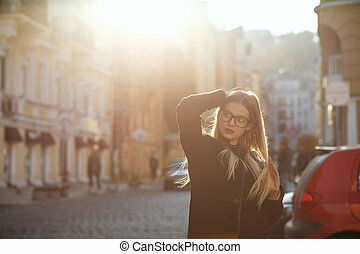 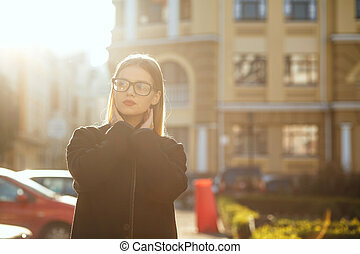 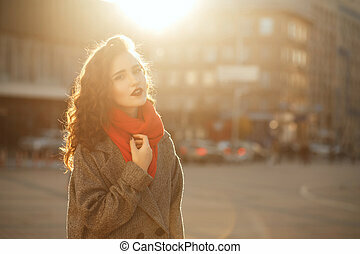 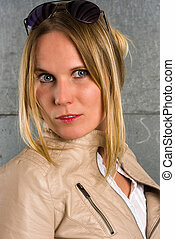 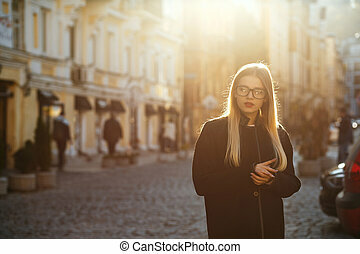 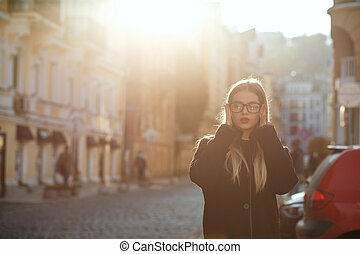 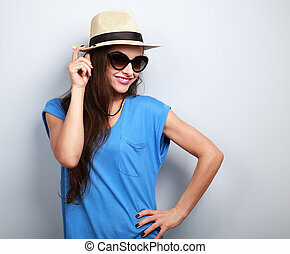 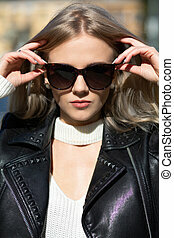 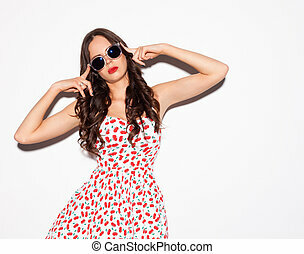 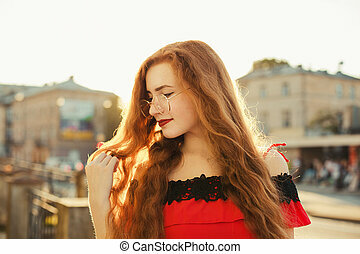 Fabulous blue eyed woman with long hair holding sunglasses, posing in sun glare. 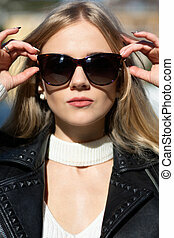 Fabulous blue eyed model with long hair holding sunglasses, posing in sun glare. 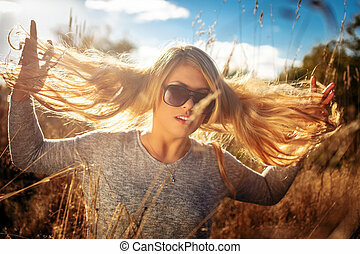 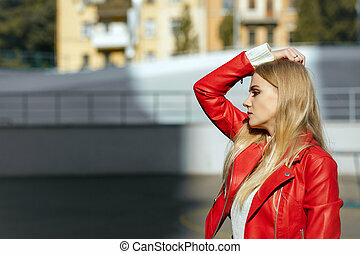 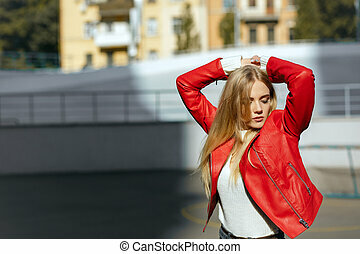 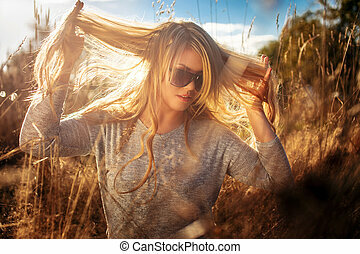 Blond female with long hair posing in a field over sun light. 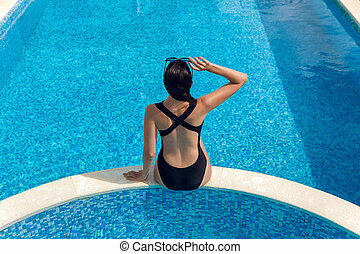 Blonde girl with long hair holding cocktail and posing near pool on the sun.